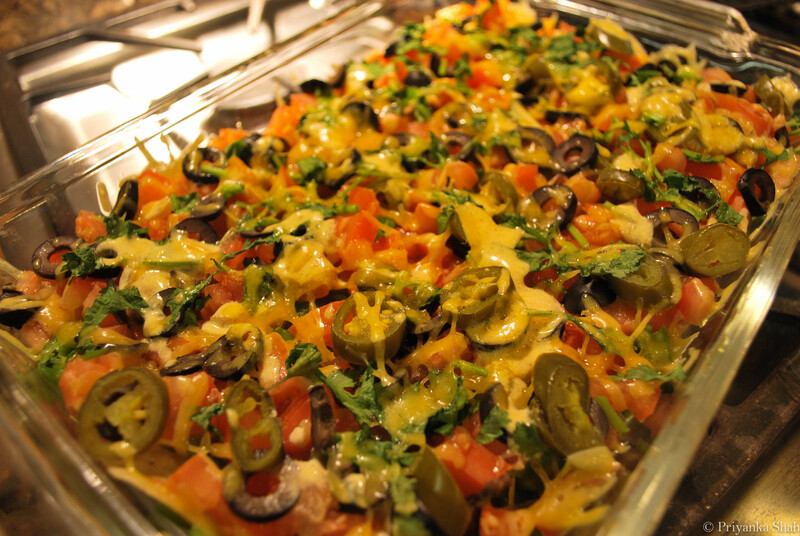 Craving the ooey-gooey warmth of those movie theater nachos? Well, give it a savory twist with half the calories! 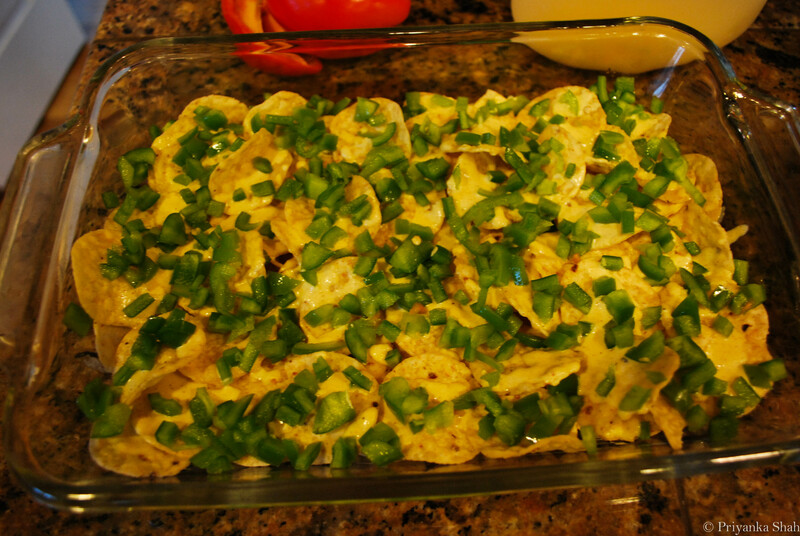 This recipe makes a savory afternoon snack, or party appetizer. I mostly eye-balled the masala measurements, but feel free to try what tastes best to you, you can’t go wrong! The masala is totally versatile and up to your creativity! You can even use this masala for toppings on pizza, tacos, in burritos, etc. Start by preparing the Jain Taco Masala, and set aside. Next, begin preparing the Masala Cream Sauce. Melt the butter and olive oil on low heat in a nonstick pot. Once melted, toss in oregano flakes. Mix in the Jain Taco Masala with a spoon or whisk. Increase the heat to medium-high and slowly add in the heavy whipping cream and milk, while constantly stirring. Add a pinch of salt, the crushed red pepper and fresh black pepper flakes. 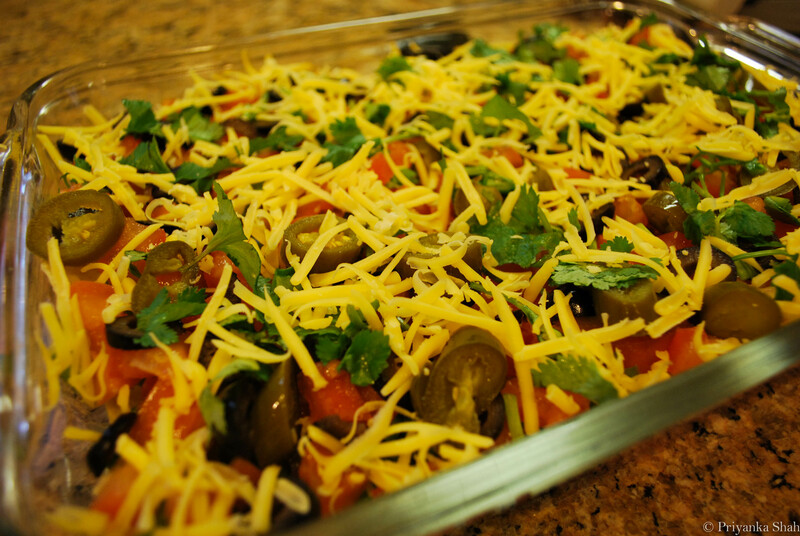 Slowly add in the shredded cheese and mix until sauce is smooth until sauce begins to thicken. The sauce will get thick pretty quick, so keep an eye on it to not to burn it! Once it is thick, remove from heat and set aside. 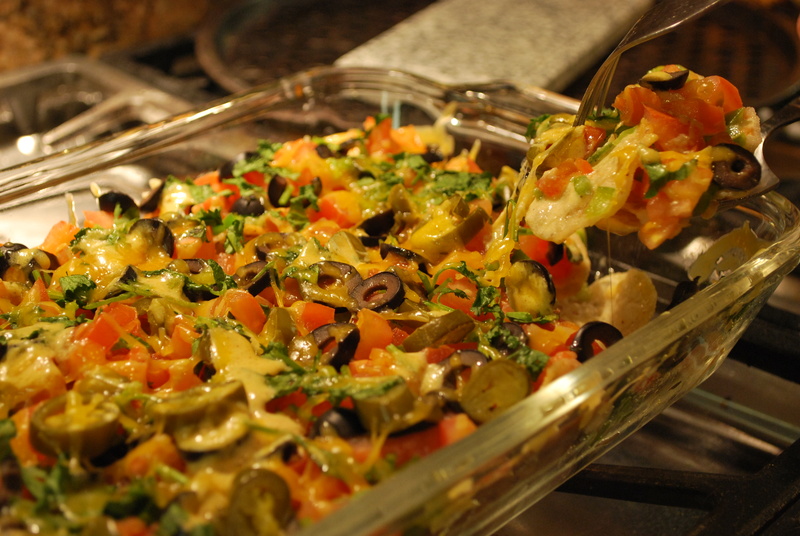 Ready to make the nachos? 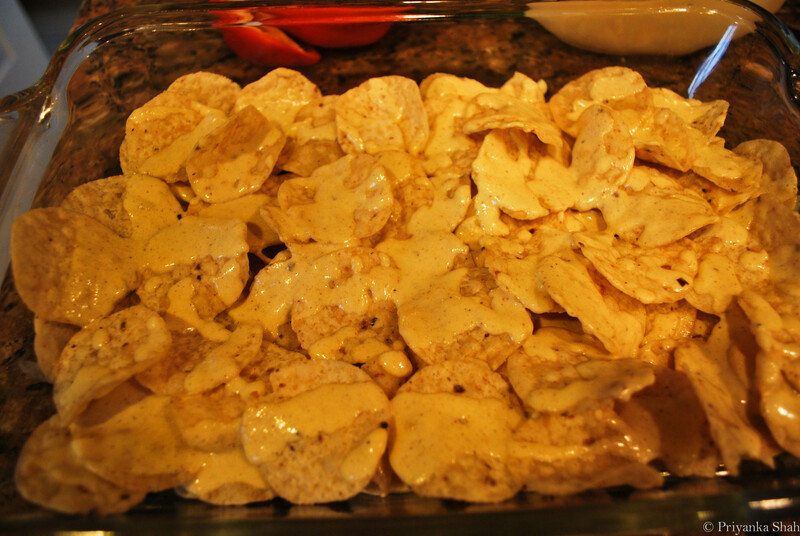 Spread the tortilla chips in a large glass pan. Preheat your oven to 400ºF. 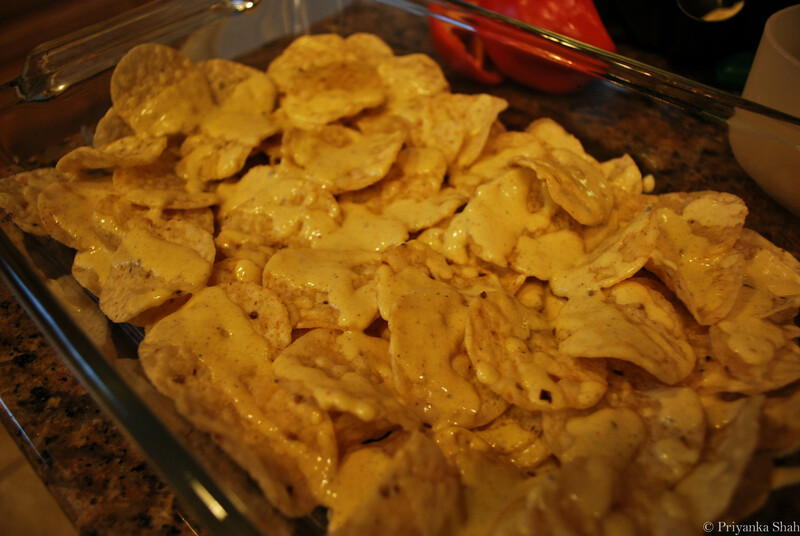 Drizzle the masala cream sauce generously over the chips. 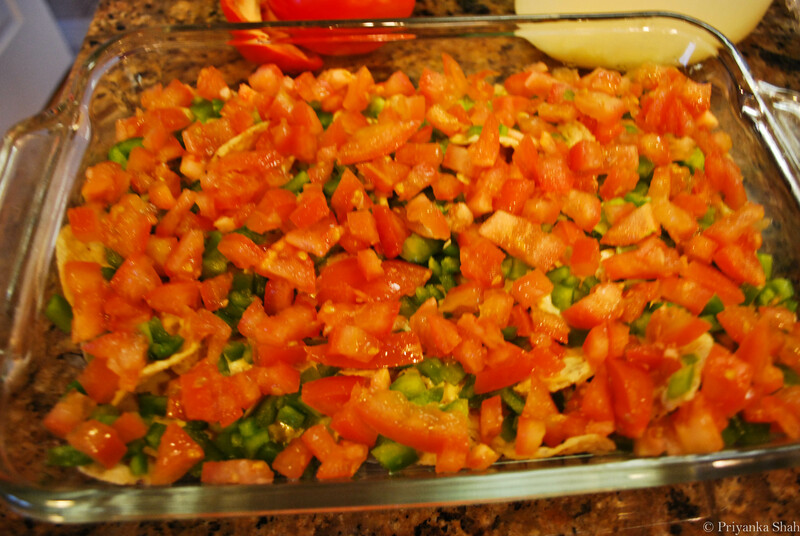 Layer veggies as follows! Make sure to coat all the chips! 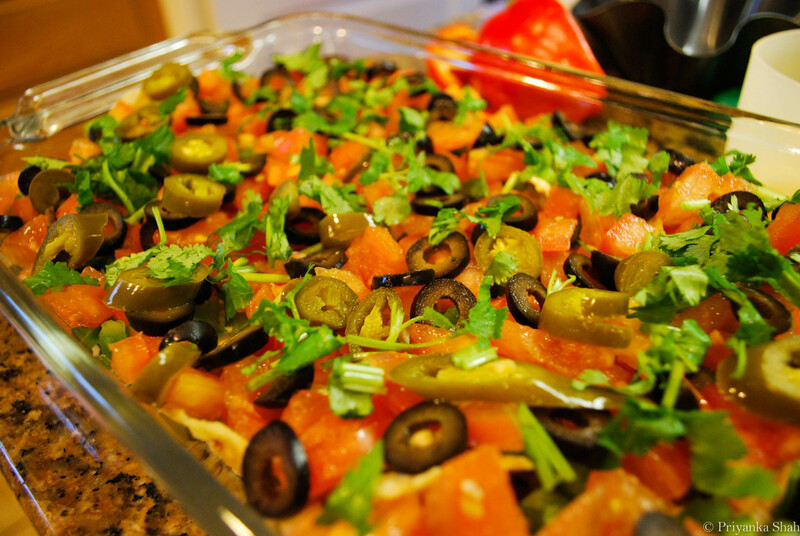 Then the black olives, jalapenos, and cilantro..
and sprinkle on the cheese! Finally, place the pan in the oven for about 7 minutes on bake until cheese has melted and bubbling, and veggies look cooked. If you like it spicy, top off with some tabasco sauce! 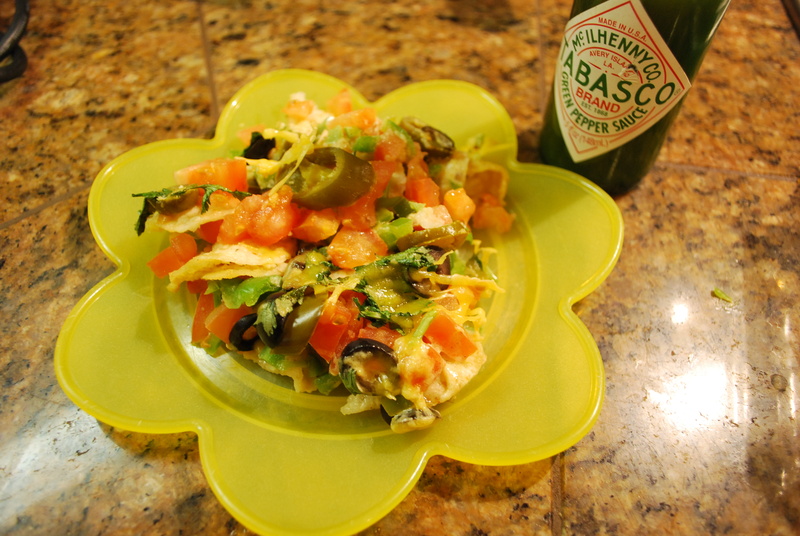 Feel free to experiment with different veggie toppings–maybe some banana peppers or pineapple? Share how you customized it! Love your site and the way you present it.